Kangaroo leather has proven to be the preferable choice for saxophone pads due to its durability and suppleness. It also doesn't stick and drastically reduces pad noise. These characteristics make kangaroo leather ideal for Clarinet pads as well. 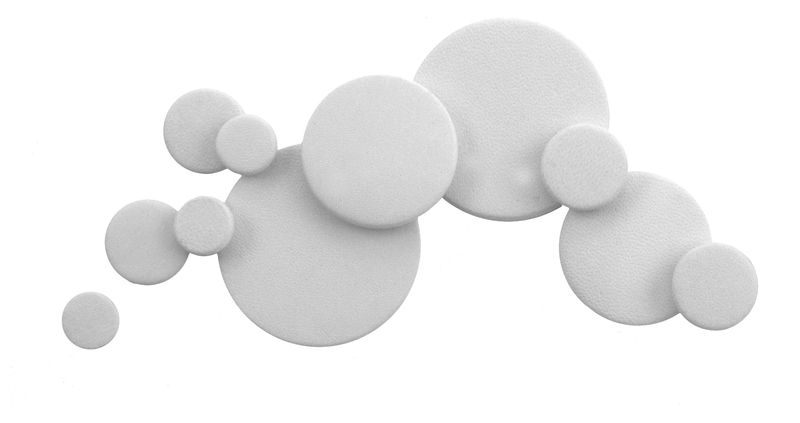 RooPads for Clarinet are made with our proprietary premium pressed felt that, unlike other felt, doesn't expand when wet. This makes for a flat and firm pad that remains stable and consistent for years to come. The felt is covered with a layer of high quality bladder that is water-resistant and keeps the already stable felt dry. The thin outer layer of kangaroo leather over cardboard rounds up this excellent pad and allows for an easy installation and incredibly long life. The result is an airtight pad clarinet players will love. For years saxophonists around the world have enjoyed the benefits of RooPads™. The Kangaroo leather for these pads is meticulously inspected, cut and hand selected by us here at MusicMedic.com. Only the finest portions of the skin are used. 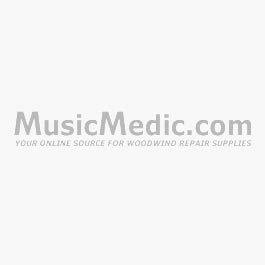 The final results are of superior quality to any other woodwind pad on the market. The famous RooPad leather and its superior feel, strength, longevity and non-stickiness are now available for Clarinet, and we have taken the quality up a notch! First, we use a very firm chipboard backing that holds the pad felt level and true. We then stack on our deep-weave™ pressed felt and glue it to the cardboard backing, this holds the felt in place and keeps all parts of the pad flat. For air and water tightness, we wrap the pad in a layer of bladder skin much like our standard clarinet pads. Around this firm and consistent base, we wrap a very thin layer of our famous MusicMedic.com RooPad leather. Because our Kangaroo leather is so strong, it can be cut very thin for a tight and square fit. This rigorous process has allowed us to produce a pad worthy of the name RooPads. We are very proud to offer this product to the clarinet world!